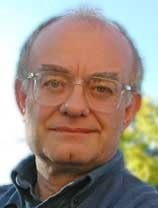 The artistry of John Rutter exudes from every measure in this bright, joyous new offering that is a marvelous addition to his repertoire. Recently written for Winchester Cathedral, the Winchester Te Deum is a glorious setting for mixed voices and has a real sense of ceremony. A buoyant work, it features dancing rhythmic motifs, moments of reflection and soaring vocal lines that highlight the text. The final “Alleluias” bring the composition to a magnificent conclusion. 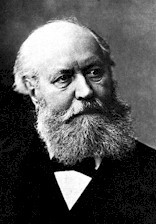 The French composer Charles-Francois Gounod is probably best known for his “Ave Maria” and his operas Faust and Roméo et Juliette. Before the worldwide success of Faust, he was known primarily as a composer of sacred music. He was a major influence on religious music in France and was one of the country's best composers of the late nineteenth century. The St. Cecilia Mass is one of Gounod’s few masses with orchestral accompaniment. Written in honor of St. Cecilia, the patron Saint of Music, this work established his reputation as a composer of religious music. In 1851, four selections of the Mass were heard at St. Martin’s Hall in London to great acclaim. Four years later on St. Cecilia’s feast day, November 22, 1855, the St. Cecilia Mass was heard in its entirety in Paris. This masterpiece is full of religious emotion, rich in melody and expression and luminous spirituality with sophisticated vocal and instrumental effects. 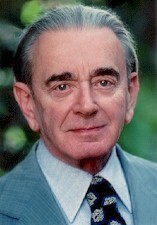 Miklós Rózsa was a Hungarian-born composer who was best known for his film scores. Throughout his career he composed award-winning music for MGM Studios and deservedly won his third Oscar for Ben-Hur. This epic film won eleven of the twelve Academy Awards for which it was nominated. Later in life Rózsa returned to his scores intending to rearrange them and create choral suites. He died before completing this project, but conductor Erich Kunzel learned about it and with the encouragement of the composer’s son Nick, this new six-movement suite was completed by Daniel Robbins who arranged and reconstructed the piece. The suite begins with the “Overture”, which sets the scene with its fanfare and Arabian like setting and introduces the main themes. The choral majesty and magical nature of this dramatically beautiful music builds through the movements from “Star of Bethlehem”, “Adoration of the Magi” and “Alleluia” to the explosive grandeur of “Miracle and Finale”.